And that’s it. It is now more than a decade since Jackson acquired the rights to remake Michael Anderson’s 1955 film. At first, he invested significant funds – commissioning a script from Stephen Fry, getting full size models of Lancaster aircraft built in China, and buying several possible props and other artifacts. These included the original wooden bomb sight used by Plt Off John Fort on the Dams Raid. I can now reveal that Jackson was the anonymous bidder who paid more than £40,000 for this when it was sold at auction in January 2015. A member of his staff attended the auction in person, taking instructions over the phone while the sale was going on. At various times over the last ten years, Jackson has said that the Dambusters project was still going ahead. The last of these statements was issued as recently as the summer of 2016. However these positive thoughts contrast with what would seem to have been recognised as reality inside his camp well before this time. Nathan’s book is based on many interviews with Jackson and his entourage, and his remarks would not have been published in this form without Jackson’s knowledge, even if not his specific authorisation. What is significant is Nathan’s use of the past tense on both occasions, and we can therefore assume that the Dambusters remake has, to all intents and purposes, now been cancelled. So this is how it ends. The remake project, which started in 2005 with a big bang and loud fanfares when David Frost bought the film rights from the Brickhill family, ends with the whimper of a couple of sentences in a book about a fantasy film series. A sad day but, to misquote another film set in wartime: ‘we’ll always have Michael Anderson’s original film.’ Maybe that’s how it should be. A few days later, Sean saw another shipment in transit, and took a series of photographs, one of which is shown above. The fact that one segment of fuselage displayed the code letters AJ-G is of course confirmation that the models were made for the Dambusters film remake. However, as Sean points out, there has been no clue from the notoriously secretive Wingut Films as to when the remake will go ahead. Sources do continue to suggest that Peter Jackson remains personally committed to the project. This was confirmed in the interview given by Jackson in Oxford in the summer, which appears to have been reported only in the hitherto obscure medium of the website of Exeter College, whose ex-students include JRR Tolkien. Asked what projects he might want to pursue next, Jackson stated he was in “no rush” to recommence filming. Nor indeed, to return to Hollywood. “At the moment . . . a lot of the films there are not the sort of films I particularly enjoy. So what Fran and I are probably going to do is make some smaller movies, make some New Zealand movies. So there we have it. A small Christmas bonus for Dambusters fanatics. Jackson speaks: Dambusters a ‘wonderful story’ which I will have to do. 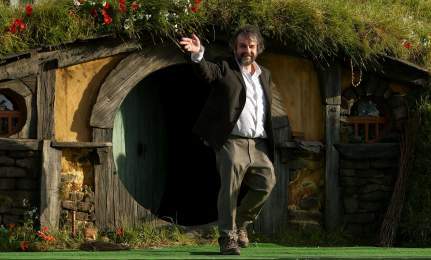 Peter Jackson has been giving interviews to mark the end of the process of making The Hobbit trilogy, which combined with the Lord of the Rings make up a series of six films that have taken his company almost fifteen years to complete. Already the films have grossed $4.89 billion in worldwide box office takings and by the time The Battle Of The Five Armies, the finale to The Hobbit trilogy, plays out, the total may reach $6 billion. I’ve had so many people the last five years come and ask, ‘When are you going to make The Dam Busters? When are you going to make The Dam Busters?’ Honestly, you ask me what I got out of five years of making The Hobbit? It was me feeling like I have to make The Dam Busters, because of the endless people asking, ‘When are you going to make The Dam Busters?… [W]e still have the rights, and it’s one in a little pot of movies. We don’t have a next movie nailed down, but certainly The Dam Busters is one of them. There is only a limited span I can abide, of people driving me nuts asking me when I’m going to do that project. So I’ll have to do it. I want to, actually, it’s one of the truly great true stories of the Second World War, a wonderful, wonderful story. I reckon that’s as near as we have come to a real commitment from Jackson to make the film. But when will it happen? He has a pretty busy schedule: Hobbit 3 is due for worldwide release in December 2014, and then there is the small matter of the second Tintin movie, scheduled for release in 2016, which he is also due to direct. (He did a deal with Steven Spielberg.) He won’t be directing The Dam Busters, but it will surely take up quite a bit of his time so it could fit into his schedule here – before a third Tintin movie, so far untitled. If The Dam Busters is ever going to get to the clapperboard stage, the next thing to expect would be news that the difficulties with the screenplay have been ironed out, that the director is confirmed (a role earmarked eight years ago for Jackson protegé, Christian Rivers) and, most important of all, that Universal Pictures and Studio Canal are still behind the project. Maybe it’s a mark of how far this subject has dropped off the radar, but I have only just caught up with a four-month-old snippet of news from Down Under. New Zealand Herald film critic Dominic Corry met Christian Rivers at the premiere of The Hobbit last December (yes really! ), and asked him what was the situation with the remake of everyone’s favourite 1955 war film. In 2008, it was announced that Jackson would produce a remake of 1955 World War II classic The Dam Busters, which was to be directed by Weta staple Christian Rivers (who won a special effects Oscar for his work on King Kong). The project seemed a natural fit for a war plane-obsessed ‘wingnut’ like Peter Jackson, but nothing has come to pass as yet, despite a bunch of replica planes having apparently already been built for the project. I spoke to Rivers briefly on the red carpet at the Wellington premiere of The Hobbit, and he told me they are still planning to make the film but that it’s on hold at the moment due to script issues. I hope it happens eventually – there’s such a wealth of creativity at Weta, it seems crazy that we haven’t seen a film come out of that talent pool yet. ‘Script issues’ eh? To me, the problem is time. Jackson and his cohorts are getting a whole lot of moolah for spinning out The Hobbit over three films. Then there’s the small matter of a sequel to Tintin, and various other fantasy film projects. A remake of The Dam Busters, however much it might appeal to readers of this blog and a few million other war film buffs, would never make as much money as these high profile movies. That’s the way the economics of the film industry works. On the other hand, we can’t discount the fact that Jackson is a self-confessed aero nut, and is probably still personally committed to the project. 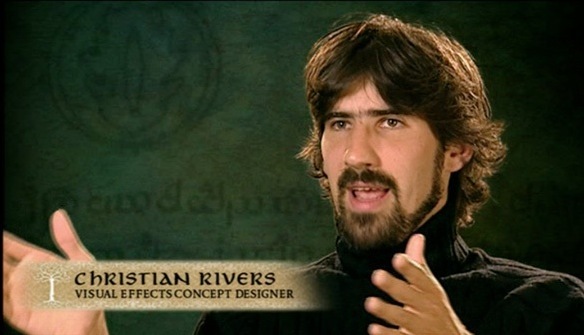 And so is Christian Rivers, despite the rumour a year or so ago that he was off doing something else. Jackson’s involvement in the Dambusters remake was originally announced in 2006. Will we see it completed by the tenth anniversary of this historic day? I wouldn’t bet on it. I can’t believe that I missed this, more than three years ago! When filming their Last Chance to See natural history TV programme, Stephen Fry and Mark Carwardine interviewed Peter Jackson in New Zealand. And there, right in the hangar, was one of the full size model Lancasters built for the Dambusters remake. From these pictures, the level of detailing on the model seems extraordinary. In recent interviews, Jackson has said that ten models have been built. It is noticeable, however, that only one seems to have been on show here. By the way, this edition of Last Chance to See became notorious for a film clip showing the very rare kakapo flightless parrot attempting to mate with Mark Carwardine’s head. Far be it from me to suggest that you amuse yourselves by watching it again on Youtube.